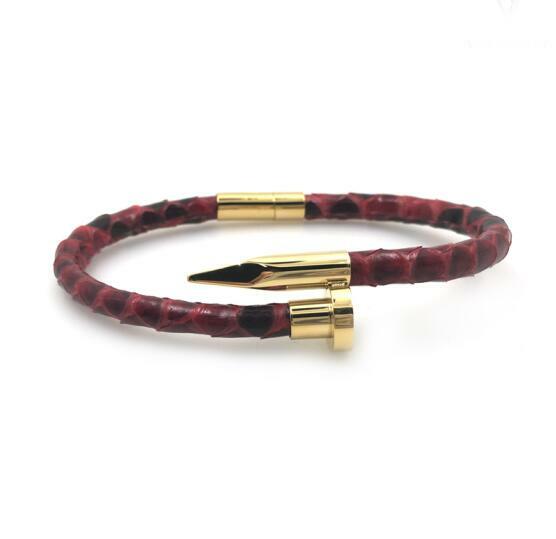 JMY Genuine Snake Leather Nail Bracelet made by genuine snake leather with nail clasp.Nail Bracelet Bangle,the nail is made by 316L stainless steel.The clasp with strong magnet stone. 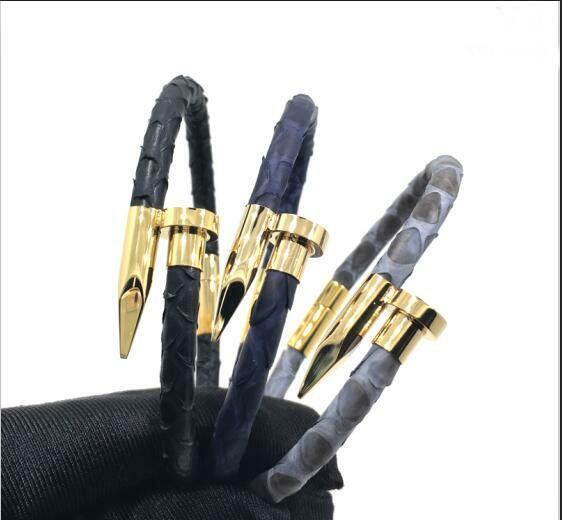 Leather Nail Bracelet.The anchor have 4 colors,silver,gold,black,rose gold.You can choose the better one you like. 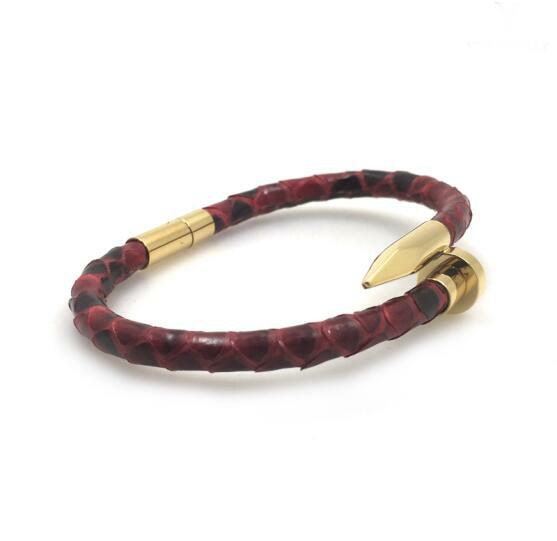 Looking for ideal Genuine Snake Leather Nail Bracelet Manufacturer & supplier ? We have a wide selection at great prices to help you get creative. All the Nail Bracelet Bangle are quality guaranteed. 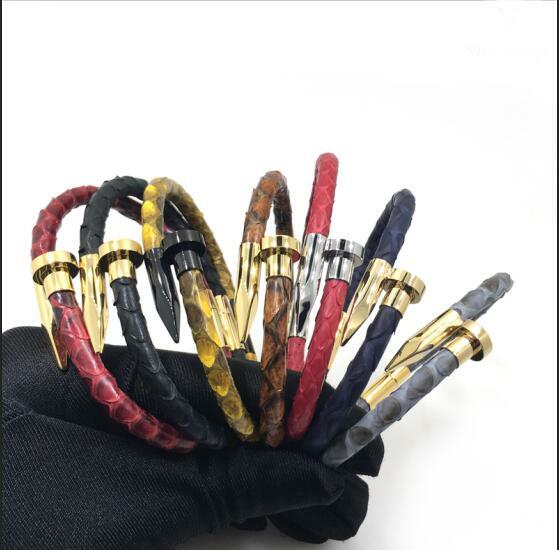 We are China Origin Factory of Leather Nail Bracelet. If you have any question, please feel free to contact us.